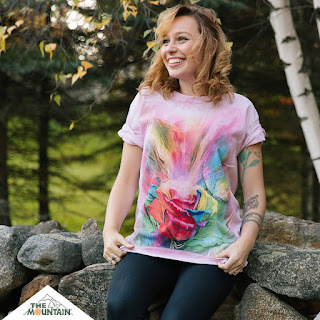 The Mountain® Spring 2019 T-shirt designs are here! We've been adding some new t-shirt designs that will be a great addition to your wardrobe. 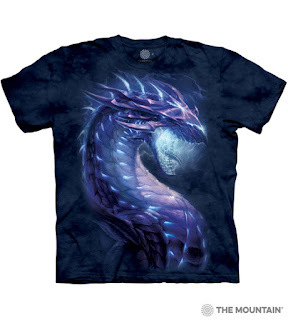 Stormborn Dragon is just one of the many new t-shirt designs you'll find at Tam's. If you love t-shirts from The Mountain® you'll love their new collection of tote bags featuring the same beautiful designs. The 18 x 18 inch totes are not only large but durable for holding shopping, books, overnight clothes. 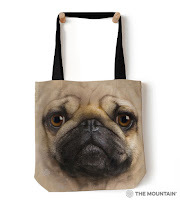 Whatever you need and want to carry in this stylish tote. 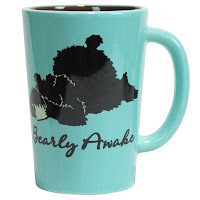 We currently carry 20 designs with new designs on order. 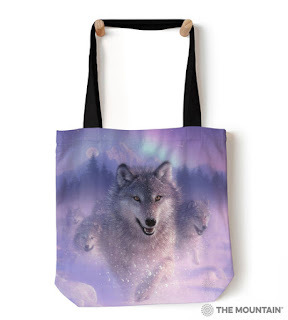 Designs range from some of our popular big face dog designs to wolves and the brand new Extinction collection. Pair this up with one of our t-shirts and you're sure to make an impact where ever you go. Instead of using plastic bags that are harmful to the environment, use one of these beautiful totes that can be used for many years to come. 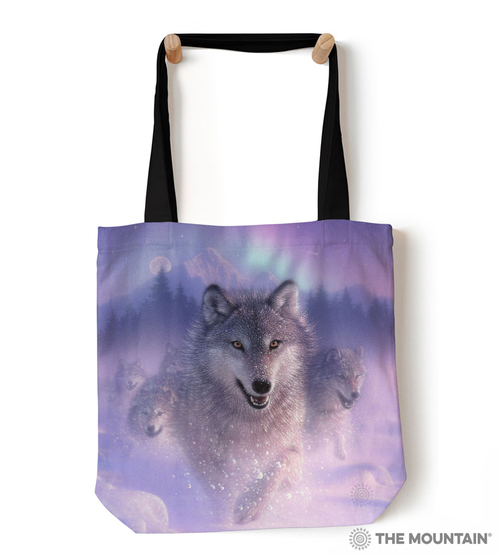 Visit Tam's to see the entire tote bag range. 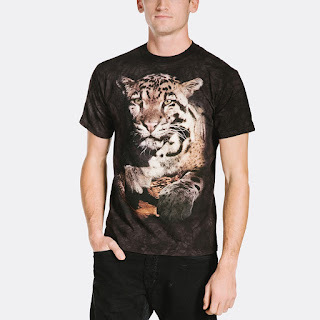 We carry the Clouded Leopard t-shirt by The Mountain® from their Smithsonian Collection. This blog however; isn't just about the t-shirt it's about the Clouded Leopard itself. Often we see on social media organizations trying to save endangered species and while this is important, sometimes less attention is focused on animals that are considered vulnerable. The Clouded Leopard falls into the vulnerable category as there are fewer than 10,000 in the wild. Unfortunately, their numbers are dwindling because of poachers and the loss of habitat. You see Clouded Leopards love trees and spend most of their solitary life in trees. With forests and jungles being decimated at an increasingly rapid pace, these beautiful big cats are dwindling in numbers. It's important to be pro-active when it comes to conservation and the first thing we can do is making sure people are educated on the topic. We can't help prevent, what we don't know or understand. It's all well and good to post a picture of an adorable Clouded Leopard on Facebook. But we need to also be prepared to do all we can to make sure these animals don't end up endangered or worse extinct. The Smithsonian Zoo and Museum in the US have conservation facilities throughout the world and they are doing what they can to make sure these beautiful creatures live and thrive. One thing we can all do is make sure we donate or purchase products that will directly benefit the conservation of animals. The Mountain® has teamed up with the Smithsonian Institute to create beautiful t-shirts. The tees capture images of animals found at the Smithsonian Zoo and are part of their conservation program. Part of the proceeds from the sale of these t-shirts go to the Smithsonian for this purpose. Clouded leopards dwell in the cloud forests of Southeast Asian and spend most of their time in trees. They are neither a true great cat or true small cat, because they cannot roar or purr. They make growling, hissing and chuffing noises. They are also not a "type" of leopard but rather a separate species of wild cat. They have specialised ankle bones that allow them to climb face first down trees. Their coat is brown or grey covered with stripes, spots and botches. The Clouded Leopard also has short legs and a long tail. For more information on the Clouded Leopard we suggest visiting the Smithsonian website for a more detailed look at these beautiful animals. If you would like to buy a Clouded Leopard t-shirt visit our site and hurry this design has been discontinued. It's summer and that means holidays and days out to the beach. 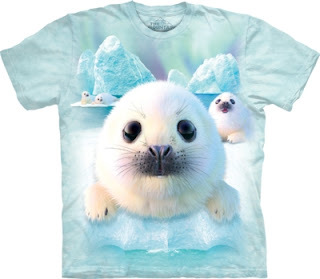 We've got over 800 t-shirts that will let you make a splash this summer! Whether you're looking for aquatic themed shirts for a day at the beach or just want something that shows your inner animal spirit. There is literally a design and size for every member of the family. Summer is also family reunion season and festival season. Getting together with a bunch of friends and family can be a lot more fun if you're all wearing a themed t-shirt. 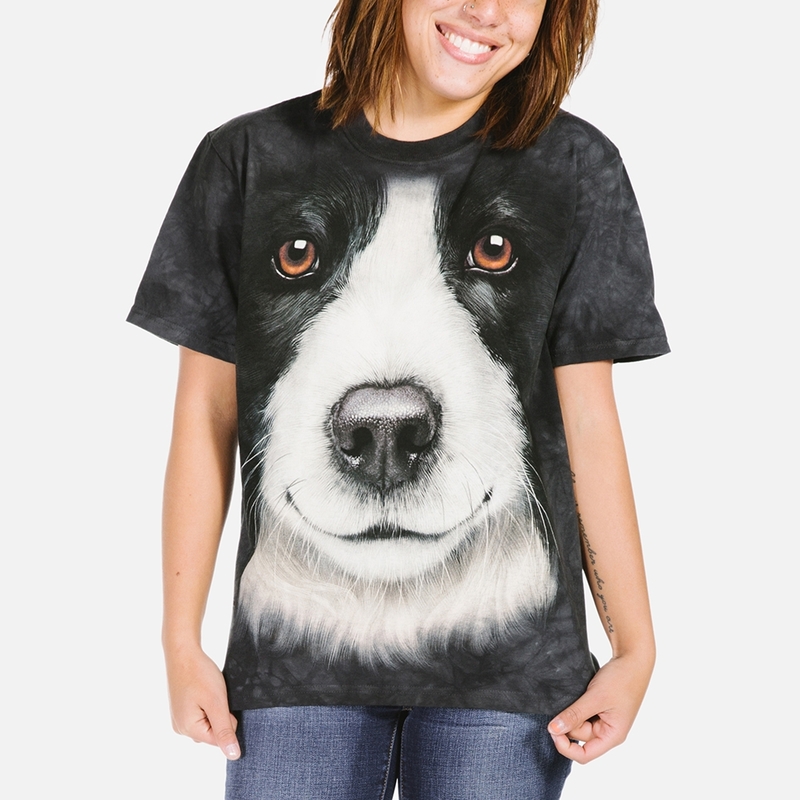 Maybe you're a family of dog lovers, why not show up at a family holiday event wearing different Big Face™ dog t-shirts? Packing for a summer holiday is simple when it's easy to wear a t-shirt with shorts, jeans or even a skirt. Go from casual with a pair of jeans and dress it up a bit with a jacket. Remember our t-shirts are 100% cotton so you'll stay cool during the summer heat. 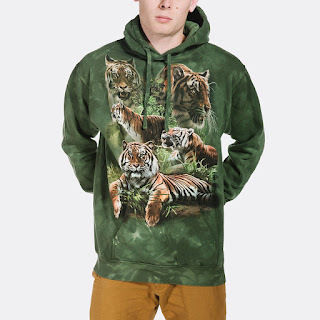 You can even bring along a hoodie for cool summer evenings and we've got plenty of designs to choose from. The wonderful thing about Lazy One® isn't just about the products themselves but the fact they make some many different products of a particular design. 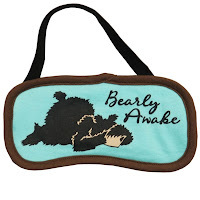 Bearly Awake is a prime example. This fun bear design is featured on pyjamas (pajamas for you Americans reading) mugs, slippers, sleep masks. We spend over 1/3 of our lives in bed so why not be comfortable and have fun doing it? Lazy One® sleepwear is great for lounging around in. Come home from work put on your favourite pair of pj bottoms and either a matching tank or tee and you're good to go. It also makes gift giving for birthdays and Christmas fun too when you can make up a hamper of Lazy One® products. 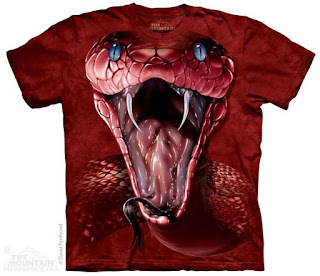 No doubt if you're familiar with the Big Face™ t-shirts that has dominated the internet for several years, you've seen the artwork of David Penfound. UK artist David Penfound has collaborated with The Mountain® on some of the most iconic t-shirts they have produced. Summoning the Storm was so popular it was even copied and stolen by a popular fashion designer (who will remain nameless) to sell on their own $1500 shirts. Of course David's original is better and a lot cheaper! 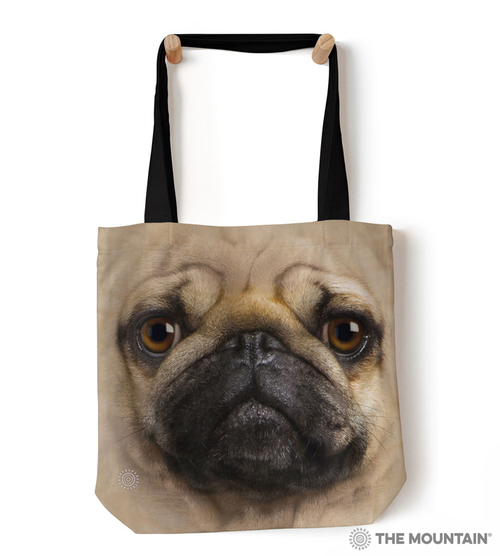 From Big Face™ animals to fantasy and Native American designs, David has covered a whole plethora of subjects. His attention to detail give every piece a realistic and magical feel. 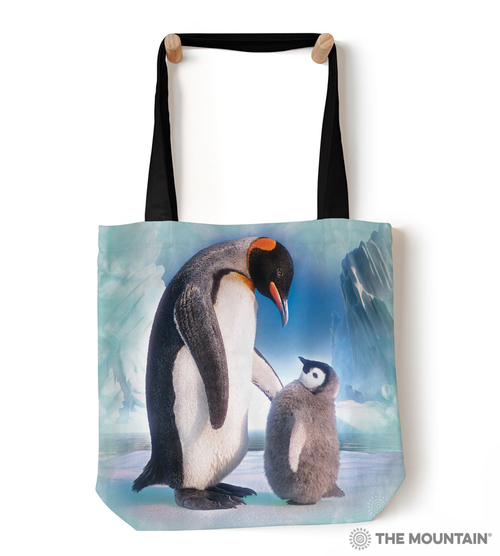 David doesn't just spin out art for the number of gift manufacturing companies that license his artwork. 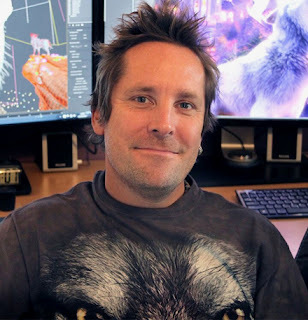 He has worked doing digital art for tv and movies. 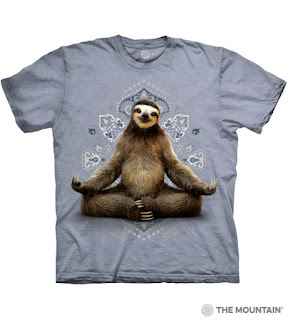 Clearly talented we are just happy to carry some of his best selling designs on our t-shirts, hoodies and apparel. Chances are if you have seen a unicorn, baby seal or alien you like it's one of David's. Red Mamba Snake by David Penfound. Wow, I know I'm bad about keeping up with blogs but boy I didn't realise the last time I posted was November! Where has the time gone? It's not just 2017, but it's February! The good news we've got a lot of great new t-shirt designs by The Mountain®. Some of these great designs were available before Christmas and now we're seeing more of them finally coming into stock. Long time artist with The Mountain® Carol Cavalaris has created some truly beautiful floral designs we think you'll love. Below is Healing Rose. Come visit us and check out the new designs for 2017!